You have finished writing the first draft of your story, a version of your whole story from beginning to end. Now it is time to edit, to revise your words to make your story clear and compelling, so the reader will continue reading after the first sentence. Are you wondering how to edit your story? Don’t worry; I have some advice for you. Editing your story might feel like an impossible task, but when you have a strategy to use, you can be confident you can edit your own story and improve your writing. When you say “editing,” many writers think of grammar or punctuation. It is good to have all your commas in the right places and to make sure you don’t mix up to and two, too many times. However, you might be wasting time editing for grammar and punctuation in a paragraph you decide to cut. You could have used that time to eat ice cream or write another story. Edit for story structure before you edit for grammar and punctuation. First, you have to write your story. A first draft is a complete version of your story, from beginning to end. Don’t edit before you write the entire story! I know you want to polish your paragraphs, but please wait. Think of your story as though you were building a house. The first draft is like framing a home. You wouldn’t put up drywall in one room, paint, and move in the furniture, before you have completely framed the house. Write the complete story and then revise. 2. Spell-check and correct all the misspelled words. Then print it out! REMEMBER- before you print it out, run it through spell-check and correct all the misspelled words. Then print it out. Wait. One more thing. Before you switch from writer to reader, let your story sit for a day or two, give it time to breathe. If you are on a deadline for a writing contest and just finished your first draft, and it is due in three hours, or one hour, take a few minutes away from your story, walk around the block, have a bath, or get a glass of water, then read your story. 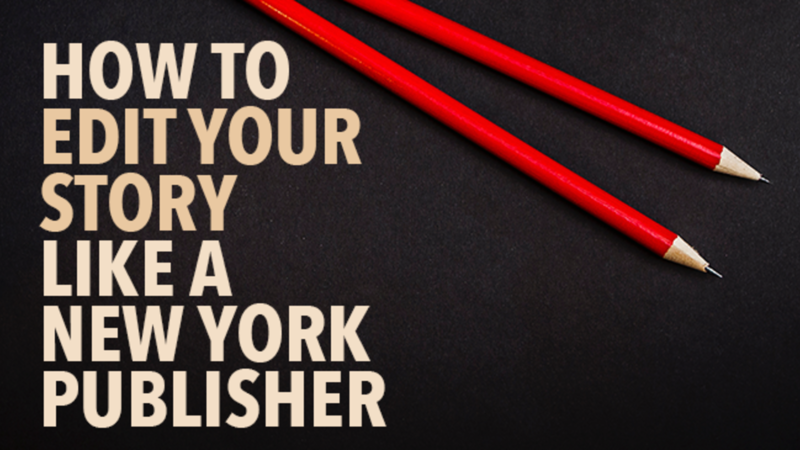 Get away from the role of the writer so you can be your own first reader. 3. Read your story out loud. Okay, no more waiting. Read your story out loud. Have a marker in hand to circle any words that don’t make sense. Listen for words that are repeated, alliteration. Does the story make sense? Read the entire draft in one sitting. Don’t stop to edit while reading; make notes in the margin as you read it. Now that you have written your story, let it sit, and read it through once, it is time to begin editing. Remember to start with your story’s structure before you edit the grammar. Does your story have a beginning, a middle, and an end? Shawn Coyne, an editor with over twenty-five years of experience, talks about the five elements of a story in his book, The Story Grid. Is there something that is compelling your protagonist to act, like an inciting incident? An inciting incident is an event that forces your protagonist to act, compelling them to stop sitting around and do something. Is there conflict in the middle of your story? A story with no conflict is like a cake with no baking powder. The cake won’t rise. The story will be flat. Does the ending resolve the conflict? Readers expect story resolution. If Aunt Mary has been taken captive by a herd of cats in the middle of the story, readers will want to know what happened to Aunt Mary by the end of the story. 5. Write in the margin what each paragraph does. I have just told you to revise for story structure. “How do I do that?” you ask. Here is the first step: write in the margin what each paragraph does. Take out the paragraphs that don’t move the story forward, or combine the paragraphs that are similar. Shawn Coyne suggests you write down your list of scenes, the word count for each scene, and a short sentence to summarize what happens in each scene. When you look at the word count for each scene, you will see if your scenes have equal weight. The industry standard is for the beginning hook to be 25% of the story, the middle build to be about 50% and the ending payoff to be about 25% of the story. In a short story, you may have just one scene. Even so, look at the balance of the beginning, middle, and end. Do you spend too much time on the setup, with lots of exposition? Or is the climax too short, rushing the story to the end? 6. Take out the boring parts. When you read your story out loud, if there are parts you don’t want to read because they are boring, or redundant, take them out. Does this apply to your story? What do you need to cut? Listen when you read your story. Is it clear who is talking in your dialogue? If there are places where you are confused, your readers will be confused, too. Here is another way to find out whether your story is clear: ask your readers to summarize the story for you. Does the setting seem like a place you have been? Does it seem real? One way to make the setting more alive is to describe it using small details, to describe the setting using your five senses, sight, taste, smell, sound, and touch. Now that you have solidified your story’s structure, I give you permission to edit your story for grammar and punctuation. 10. Look for passive verbs. After you have revised for story structure, print out your story again and circle all of the verbs. Verbs come in two types: active and passive. Look for the passive voice and decide if the meaning of your sentence would be clearer if it was written in the active voice or the passive voice. When you use the active voice, the subject performs the action expressed by the verb: The dog chased the cat. In the passive voice, the subject receives the action expressed by the verb: A cat was chased by the dog. If you are not sure whether you should use active or passive voice, you can read this guide. Liz Bureman gives several reasons why you would want to use the active voice or the passive voice. “The best form of dialogue attrition is said, as in he said, she said, Bill said, Monica said,” says Stephen King emphatically in On Writing. Wait! Stephen King doesn’t say it emphatically. He just says it. The focus should be on what was said, and not on the verb used to describe what he said. “I hate you,” she exclaimed she said, hurling her French book at him. The corner struck him just under the eye. A bright red mark began to rise on his skin. Remember to check the punctuation of dialogue in your story, too. 12. Avoid these seven words. After you have revised your verbs, print out your story again, and look for these seven words which can weaken your writing: one of, some, thing, very, adverbs that end in -ly, and leading words such as mostly and so. Joe Bunting, the founder of The Write Practice, husband to a great cook, father to two boys, and creative genius with an orange belt, wrote a detailed article on how cutting these words will make you a better writer. A cliché, according to Dictionary.com is a trite, stereotyped expression; a sentence or phrase, usually expressing a popular or common thought or idea, that has lost originality, ingenuity, and impact by long overuse. The danger of using clichés in your writing is that your readers have heard them already. In fact, they have heard them so many times that they no longer hold meaning. In addition, different cultures may interpret the cliché differently based on their cultural identity. Is there another way to say the room was as cold as ice? You could describe the frost on the windows, or that you could see your breath in the room. If someone was acting like a fish out of water how would they behave? I imagine a fish laying on the ground flopping around. Is that how you see the person in your story behaving? How would a person behave who was in an environment that wasn’t familiar to them? Would they be anxious? How do you show anxious? Would they keep checking their watch? Look over their shoulder? 14. Look for telling instead of showing. You are telling me what to think. Telling puts the reader as the observer, separated from the story; when you show, I feel like I am in the story. The secret to show and not tell is to be more specific. Showing is when you describe Henry’s behavior, and you let me decide what to think about Henry. Henry stayed in his bed all day. The phone rang, but he didn’t answer it. He didn’t want to talk to anyone. He stared at the crack in the ceiling and counted the dead flies on the wax strip that was pinned to the corner of the window. After you have revised your story for structure, verb usage, dialogue, cliches, and the seven words to avoid. Print your story out again. Search your story for every sentence that begins with “I.” Marion Roach Smith, author of The Memoir Project, suggests you re-write at least two-thirds of those sentences to begin with action. If you would like to improve your story’s style even more, don’t stop here. The Elements of Style by Strunk and White is full of helpful tips about the elementary rules of usage, the elementary principles of composition, commonly misused words and expressions, and tips on style. Here are ten tips to improve your writing style from The Elements of Style. The Write Practice has an essential guide to writing with good grammar. The guide gives you advice about punctuation and how to use either, neither, or, and nor correctly. Your story might be the best thing since the invention of sliced bread, but if you don’t know where to put a comma, a reader might misunderstand what you are trying to say. 17. Read it aloud one more time. When you think your story is finished, print it out and read it out loud one last time. Is there anything more you need to change? Is the structure solid? Are the word choices and grammar polished? Or is it ready to publish? If so, share it with your friends and family, enter it in a writing contest, or submit it to a literary magazine. Congratulations! 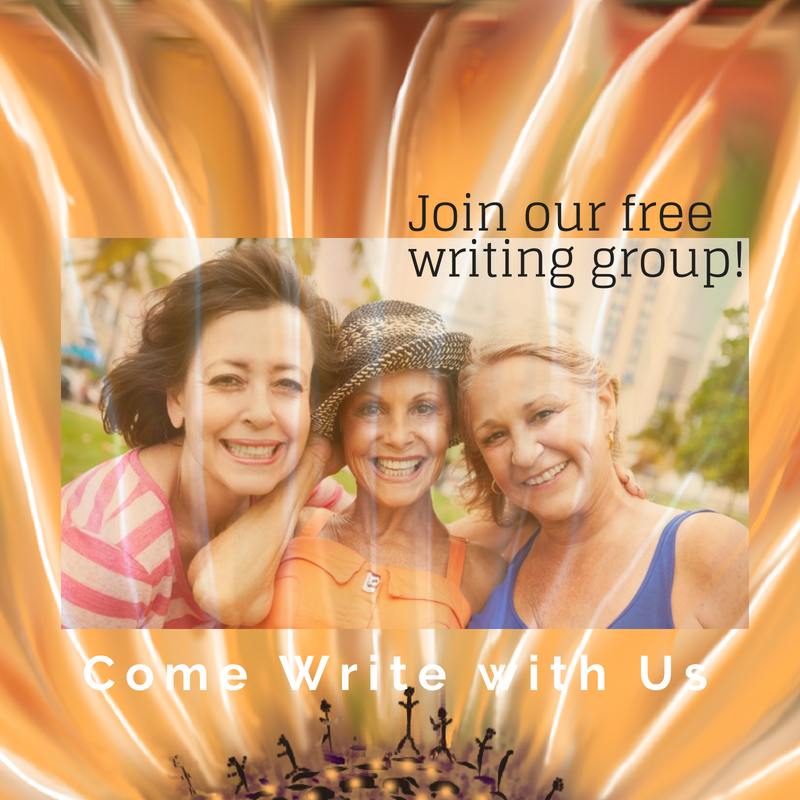 It is time to share your writing with the world. I know you are eager to send your story out into the world. Wait—don’t send it before it is ready. Remember to edit your story to make it the best it can be. Then, when you have done everything you can, be bold and publish. You are the writer. The story you wrote is yours. Listen to advice, learn from it, and keep writing. Find a story you have already written. Maybe it is a chapter of your work in progress, maybe it is a practice you shared on another article, or maybe it’s something else. Take fifteen minutes to work through as many of the steps above as you can. If you don’t have something written already, take five minutes to write a story about a woman who has too many litter boxes. Pause for a moment to let your mind clear. Then, take ten minutes to work through as many of the steps above as you can. When your time is up, share your editing practice in the comments field on our Facebook Page. If you share, please leave feedback for your fellow writers, too. Don't even THINK of editing until your piece is complete! 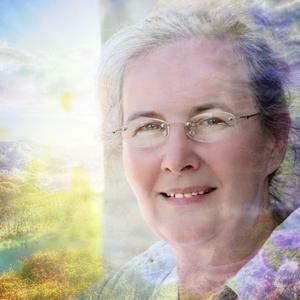 Pamela writes stories about art and creativity to help you become the artist you were meant to be. I know she would love to meet you at pamelahodgs.com.